Ralts in game: 5,730 Who? Important notice! 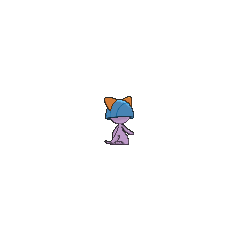 Pokemon Ralts is a fictional character of humans. 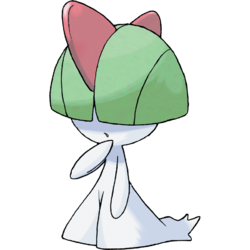 Ralts is a humanoid Pokémon with a white body. It has thin arms and legs that widen toward the feet. There is a wispy extension trailing off the back of its feet, making the overall impression of a nightgown or oversized dress. Most of its face is covered by green hair that resembles a bowl cut, but a pair of pinkish red eyes is sometimes visible. There are two flat, red horns on top of its head: a large one toward the front and a smaller one at the back. 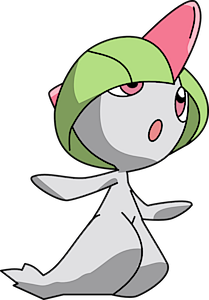 Diantha's Ralts, currently a Gardevoir, appeared in Battling Into the Hall of Fame! in a picture. 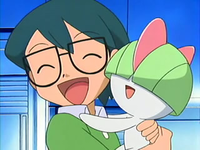 Ralts debuted in the anime in the episode Do I Hear a Ralts? Max found one that was very sick and decided to prove his abilities by taking responsibility for it. With the help of Ash's Snorunt, he rushed it to the nearest Pokémon Center. He later promised to return for Ralts when he is eligible to be a Trainer. 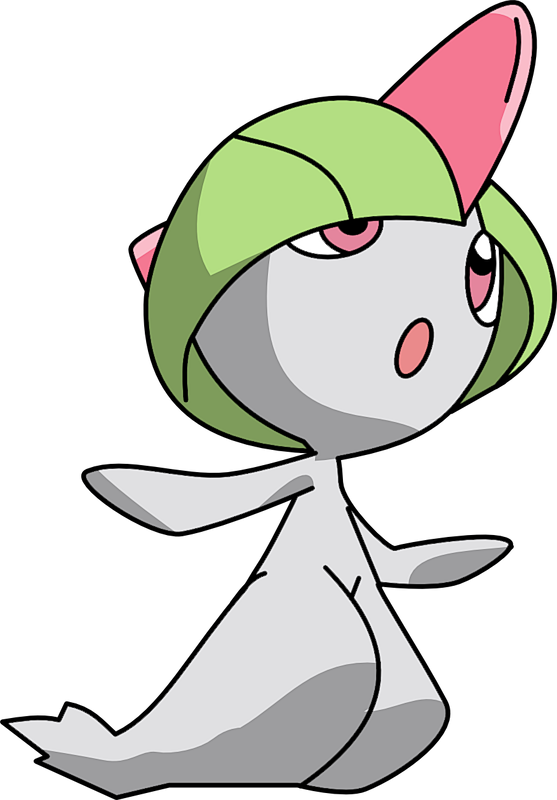 A Ralts was living with some party-loving psychic Pokémon in an abandoned mining town in Fear Factor Phony. A Ralts appeared in Party Dancecapades!, under the ownership of a Pokémon Performer participating in a dance party. Ruby owned a Ralts nicknamed Rara. However, for most of the Ruby & Sapphire chapter, Rara is with Wally after Ruby was lost in an earthquake that left him under Mr. Briney's care (where he learned of the beautiful Milotic that Feefee eventually evolved into). While training with Wally under Norman's command, Rara evolves into a Kirlia and is eventually returned to Ruby. Ralts also has the lowest base HP of all Fairy-type Pokémon.